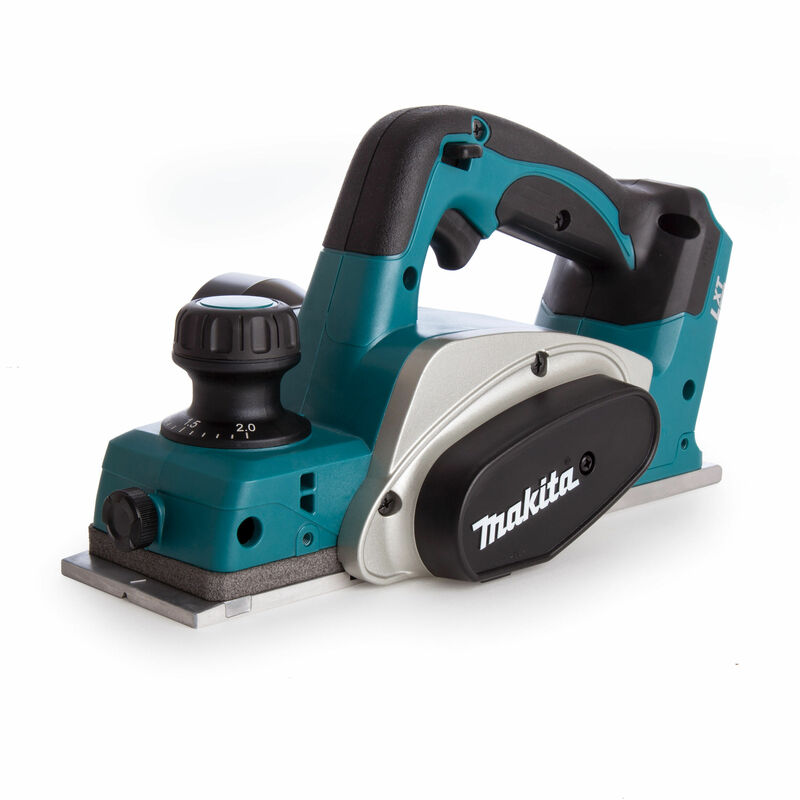 The Makita DKP180 is a powerful 82mm Cordless Planer, giving freedom to move around the jobsite without the constraint of a power socket being required. 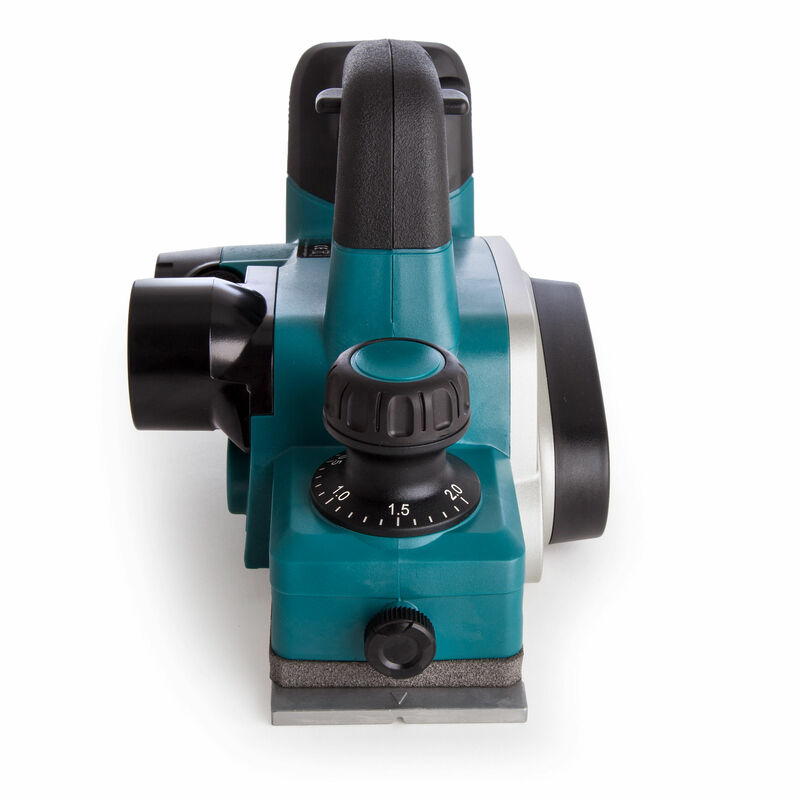 With an easy to use adjustable depth settings with the large depth adjustment knob with click stops and easy to read scale with 0.1mm divisions. 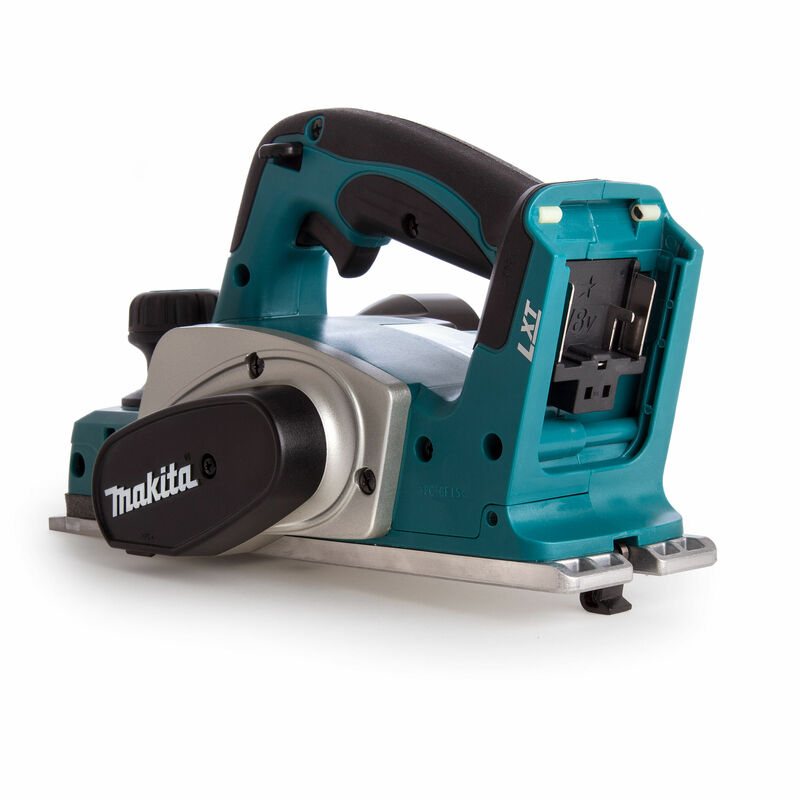 Satified customers who bought this tool say: "Excellent power from a cordless planer. Dealt with hardwood with ease." - "Well balanced, easy to use, overall an excellent product, well recommended." - " A great buy, wish I bought one years ago." - " As good as my corded, great balance, really good bit of kit." - "This is a great tool, especially if you work on site. 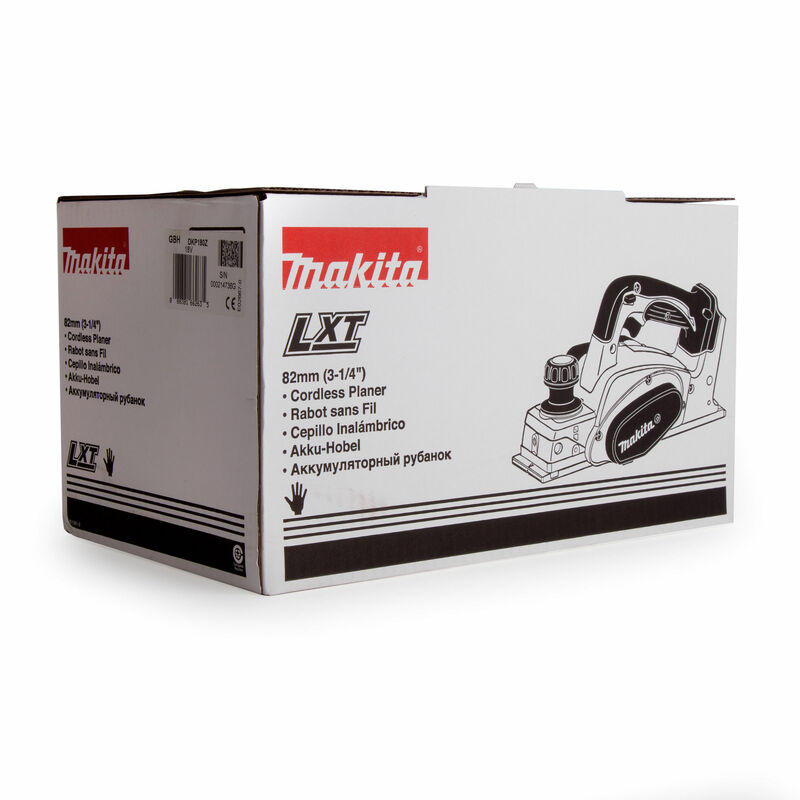 No need to carry a heavy generator about, just some lxt batteries. 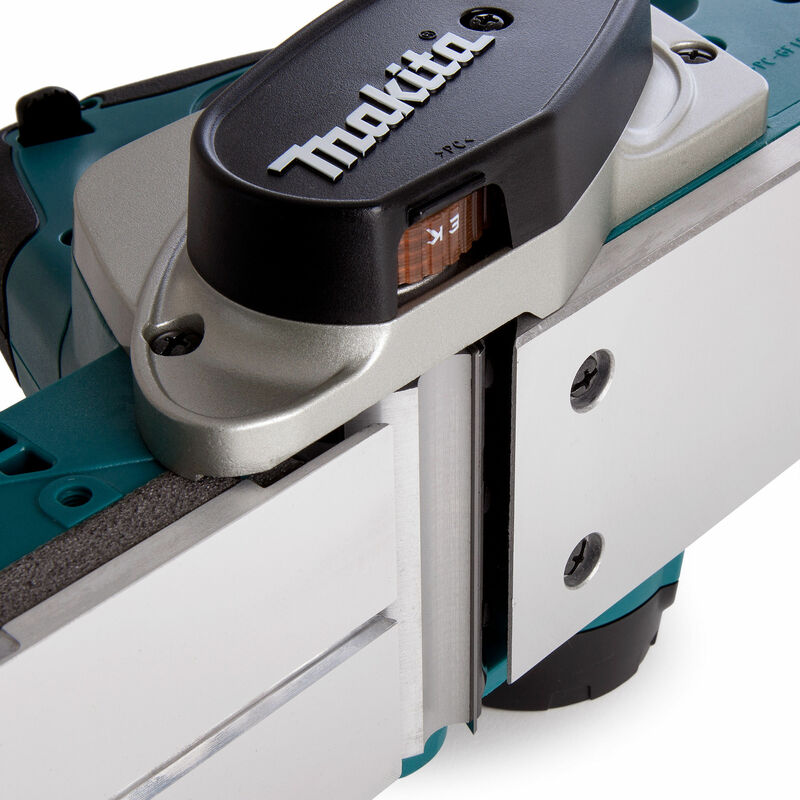 Comes in handy for all aspects of joinery work." Sold in a cardboard carton without battery, charger or Dust Bag. Shoe on the underside stops accidental laying down of planer while blade is still moving. 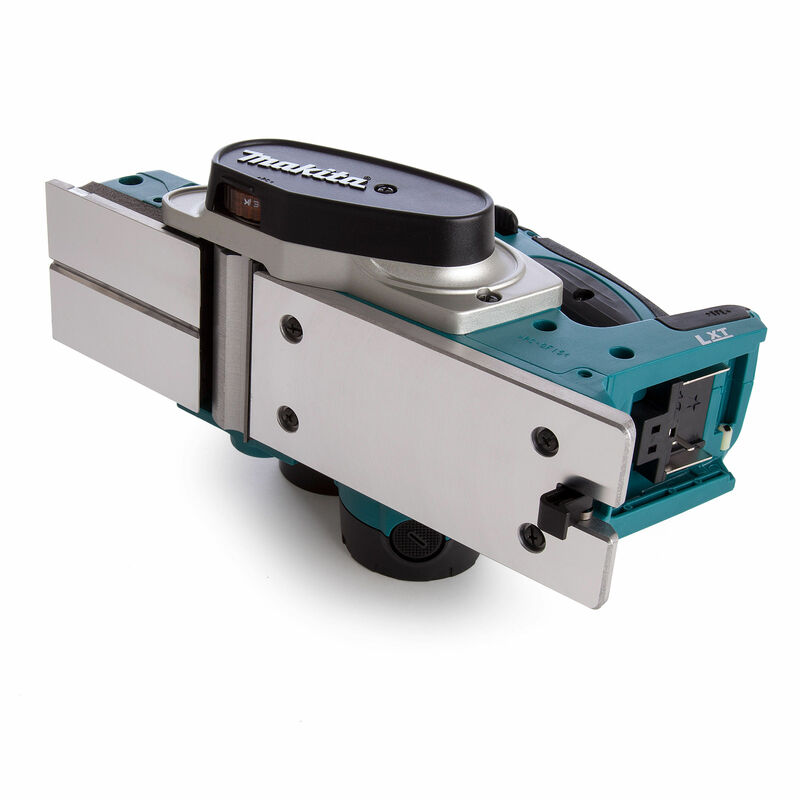 This limits the damage on the workpiece and the blades from scratches.